Although you can't see it, a skin lipid lamellar structure covers your complexion and works to protect it from irritants in the environment. The ATOPALM skin care collection was developed specifically for dry and sensitive complexions that are irritated, flaky and itchy due to a damaged skin lipid lamellar structure. The products in the collection contain MLE, a replica of the lamellar structure that can take its place until the skin recovers and can rebuild the structure on its own. The MLE complex in ATOPALM products is all-natural and composed of ceramides, fatty acids and cholesterol derived from plants. Due to the use of MLE, ATOPALM products are ideal for those with skin allergies, rosacea, eczema and other skin conditions. A major physical component of your skin's defenses is the shielding layer of lipids produced by the epidermis's lamellar bodies. Helping to shield against environmental impurities and pollutants as well as excess moisture loss, this coating is easily damaged, a failure that often significantly contributes to the complications of those with especially sensitive or dry skin, or those contending with conditions such as rosacea. The ATOPALM product line is acutely engineered to soothe such afflicted skin while allowing it to restore its natural lipid barrier. At the heart of the brand is the Multi Lamellar Emulsion (MLE) formula, which utilizes botanical extracts to imitate the lipid structure and also promote its healing. Such restorative action means ATOPALM--free of parabens and swift to penetrate and absorb--is ideal for those with especially dry, easily aggravated, or otherwise sensitive skin for whom standard skincare products may be too irritating. Indeed, formulations inappropriate to your skin type can worsen the situation by themselves degrading the lamellar lipid layer and stripping moisture. ATOPALM has woven the MLE formula into a wide spectrum of skincare products, so that individuals with fragile and delicate complexions can successfully cleanse, moisturize, and otherwise treat their skin. 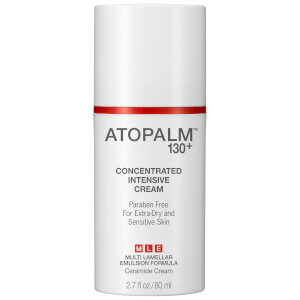 There's the redness-reducing and hydrating ATOPALM 130 Plus Concentrated Intensive Cream, for example, and the ATOPALM Moisturizing Body Lotion, which can be applied all over to smooth and soothe dry or inflamed skin. 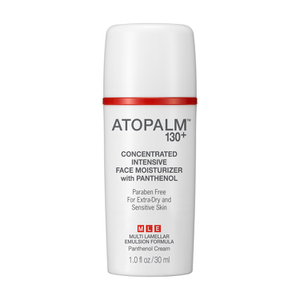 Like many of the brands featured at SkinStore.com, ATOPALM brings advanced technology to everyday skincare--specifically the regimens of those most in need of specialized and gentle formulas. It can be difficult to find skincare products that offer a high-quality level of care to suit your skin. This is a particular challenge for people with sensitive skin, dry skin, mature skin, or other issues that can be exasperated by an incorrect product choice. Whether your skin requires extra care or you are simply looking to revitalize your skincare regimen, ATOPALM Products can offer you various benefits. These products represent the latest in skincare technology, using current scientific research to ensure your skin is well cared for. ATOPALM Products work to replenish lipids and strengthen your skin's natural defense mechanisms while providing top-quality care. If you have sensitive skin, ATOPALM Products can still deliver the results you desire. These products are free from irritants and deliver a high level of results, leaving your skin rejuvenated and balanced. Formulated for all skin types, this product line can even be used by people who suffer from extremely dry skin, rosacea, and eczema. If your skin has average moisture levels and does not experience such sensitivities, you can still benefit from ATOPALM's carefully developed formulas. Your skin must maintain an ideal balance of moisture, oil levels, pH levels, and other factors to be at its best. As research has developed, scientists have discovered new ingredients that benefit the skin and maximize the potential of your complexion. ATOPALM Products are developed using the most recent skincare technology and research, allowing you to feel confident that you are receiving the best and most current care available. Though many skincare products target the face, it is important not to neglect the rest of the skin on your body. ATOPALM Moisturizing Body Lotion is a lightweight lotion that works to optimize your skin's moisture levels. 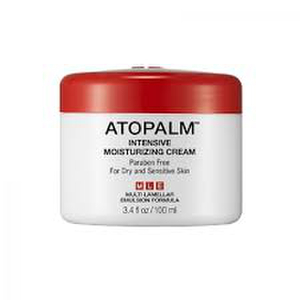 Using patented Multi Lamellar Emulsion technology to hydrate skin while encouraging your skin to retain its own moisture, ATOPALM Moisturizing Body Lotion works hard to keep your skin looking and feeling its best. This lotion is gentle enough to be used on sensitive or sun-damaged skin. Cleansing your face is one of the best things you can do to improve the overall appearance and health of your complexion. 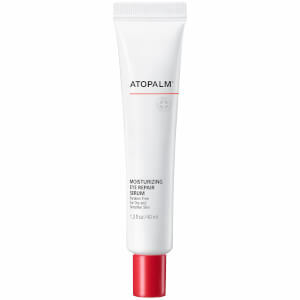 ATOPALM Moisturizing Facial Cleansing Foam fully cleanses the skin without leaving it dry or stripped of its natural oils. This moisturizing formula is gentle and paraben-free, allowing it to be used by even those with the most sensitive skin. Despite its gentle properties, this foaming cleanser is powerful enough to offer results to anyone who uses it. Applying makeup on top of a moisturizer can often reduce the effectiveness of one or both of the products. ATOPALM Daytime Under Makeup Moisture Cream addresses this issue by restoring and improving the skin's protective moisture barrier regardless of what is applied on top of it.